Join the invincible Captain Cauliflower and his faithful companion Marvin on an unforgettable adventure filled with extreme silliness and unquestionable danger. He flies into outer space and swims deep under the ocean saving those in peril - but can he beat his arch-nemesis, the evil and odorous Onion Man? Joyous physical comedy for all the family. 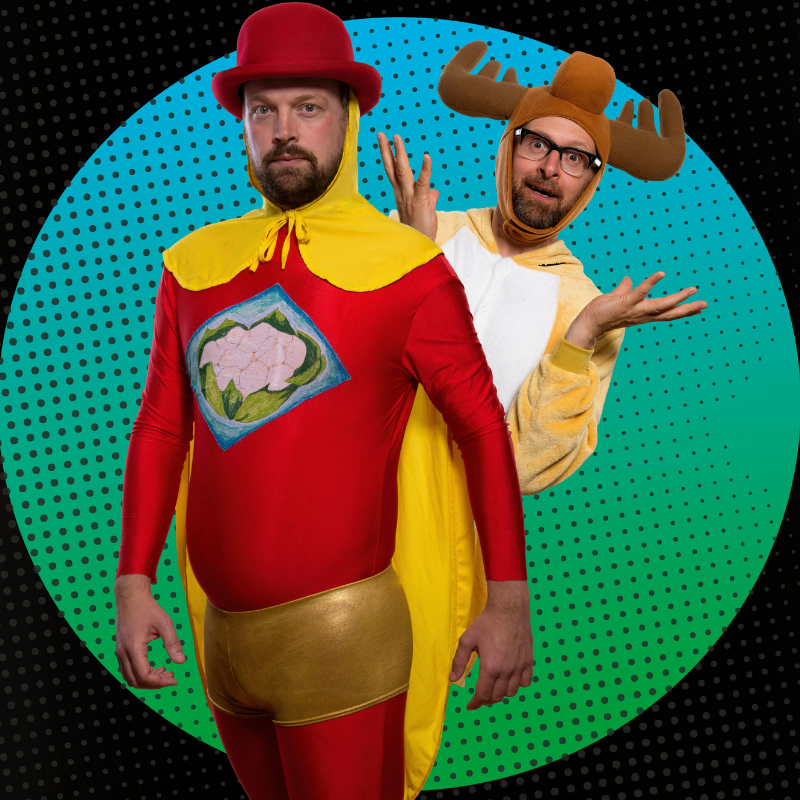 British comedians Dan Lees and Neil Frost (aka The Establishment) are simply two of the best clowns around, adored by adults and children alike. This is their first time in Australia. Hooray! Sold out season at Edinburgh Fringe Festival 2018 - be sure to book early. "Silliness as an art form" - The Scotsman. "Dan Lees and Neil Frost are fast becoming Fringe favourites" - Fringe Review. "Downright hilarious" - Broadway Baby.